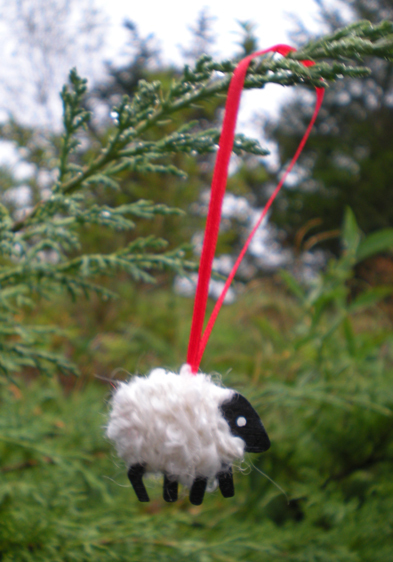 ……..and shepherds watched their flocks by night……..
An Irish LizzyC Sheep on pretty red ribbon. New to the LizzyC Sheep Collection are these cute little sheep Christmas Tree decorations, and this one is called ‘Snowy’. All these little sheep are unique, each is crafted by hand. Snowy is natural white of course.